There are a variety of bathing cultures around the world, including the Finnish sauna, the cool valley baths of the tropical climate and the volcanic hot springs. These different bathing cultures may have different environmental factors, but the differences in the skin’s tendency of the people living there are also factors. After a long time, although the East culture and the West culture have a climatic and physical difference, the Korean bathing culture in Asia is attracting attention from the people of the world as it becomes globalization in the 21st century. On the other hand, Conan O’Brien’s show, one of the most popular entertainment programs, “Jjimjilbang(Koren style spring sauna)”part, which was aired not a long time ago, shows Korea’ s steam sauna culture experience by introducing Korean “Jimjilbang” culture with Korean actor Stevent yeon. The term of ‘Ttamil-yi’ means Scrub in Korean traditional style. Koreans take care of their skin by scrubbing the exfoliated skin after doing hot sauna or getting into the hot bath. This Korean skin care method has been popularized by those who have experienced the culture in an effective way in exfoliation and skin care, while Ttaereumio has difficulties in understanding the culture of this strange bath to those who are not familiar with the culture come. At this time, the term ‘Ttamil-yi’ which is Scrub in Korean traditional style appears in Korean to remove keratin from the body. This Korean skin care method is more effective for skin care than existing body wash products and exfoliation using shower balls and body brushes. However, it is unfamiliar to those who are unfamiliar with scratching the stratum corneum at once, and it has been difficult to get to know the world. Just as people with a lot of massage want strong intensity massage, those who are not accustomed to the occasional culture need more gentle scrubbing and different intensity scrubbing care depending on the weather and the characteristics of the individual’s skin. For this, Ttaereumio offers a unique solution: First of all, as you can see from the bright smile of those wearing various gloves in the picture, Ttaereumio is a family business that put all the skills and talents of the family together into company and product. As an engineer, both the father and the son had the advantage of being able to design the hardware to fabricate their own fabrics. As a result, they can make the towel products of the weaving structure and the design of the desired thickness by the direct design by Ttaereumio. In addition, the technology of the owner of the founder can introduce a direct and immediate plant system, so that the customer can order the desired product at that time. In addition, the biggest advantage of Sir Mio is that it is based on natural ingredients in a blend of raw materials based on craftsmanship. This is different from the use of existing artificial materials such as other shower balls or shower brushes. In addition, considering the occurrence of heat generated by skin friction when using a brush for bath, it is said that the friction heat is not generated even when bathing for exfoliation. Considering those natural ingredients, Ttaereumio also offer natural herbal soaps that contain a variety of natural herbal ingredients called oriental flowers. 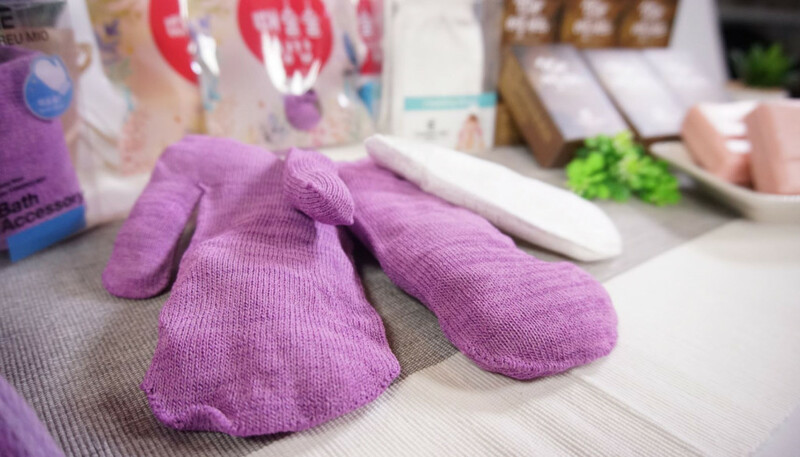 Ttaereumio ‘s CEO wants to make a product in the form of a fabric suitable for the skin of various people all over the world. Based on this belief, he added, “We want to inform people about how to manage their skin health not only in Korea but also through skin exfoliation using Ttaereumio products,” he added. 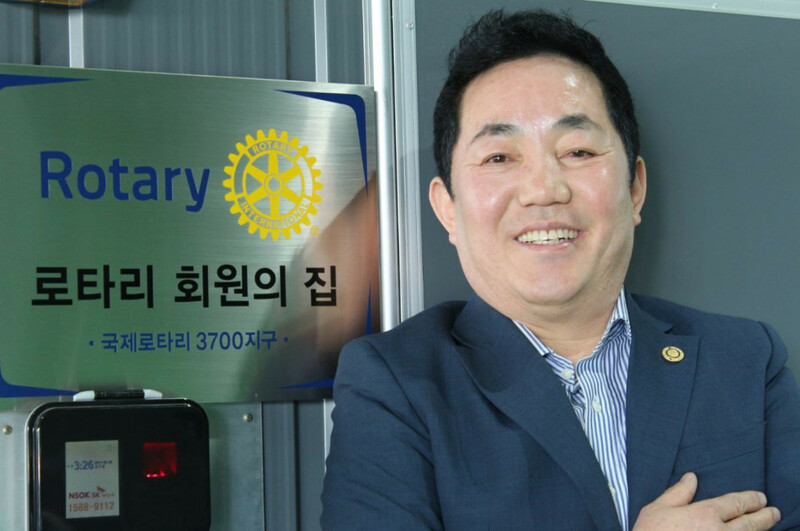 To this end, he has been a long-time member of the Rotary Club International and is taking the lead in realizing corporate social values through donations for difficult neighbors and running scholarships for future global talent cultivation.